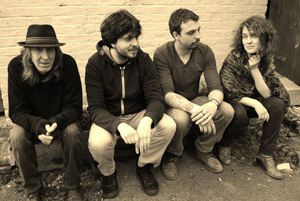 Sweet Scarlett does blues rock and does it well with two "T's": traditionally and in a tribe. The tribe is actually a family with a father, two sons and a daughter in law who deliver effective songs sometimes sung in unison, such as the good ‘ Sell your ticket’. Other peachy songs are performed in jazz-funk style such as the tasty ‘Cool Cat’. Or ‘Body Rock’ with the sense of beat and solos in tribute to ‘classic rock’ with guitar harmonics that stun and make hair bristle! You will see!